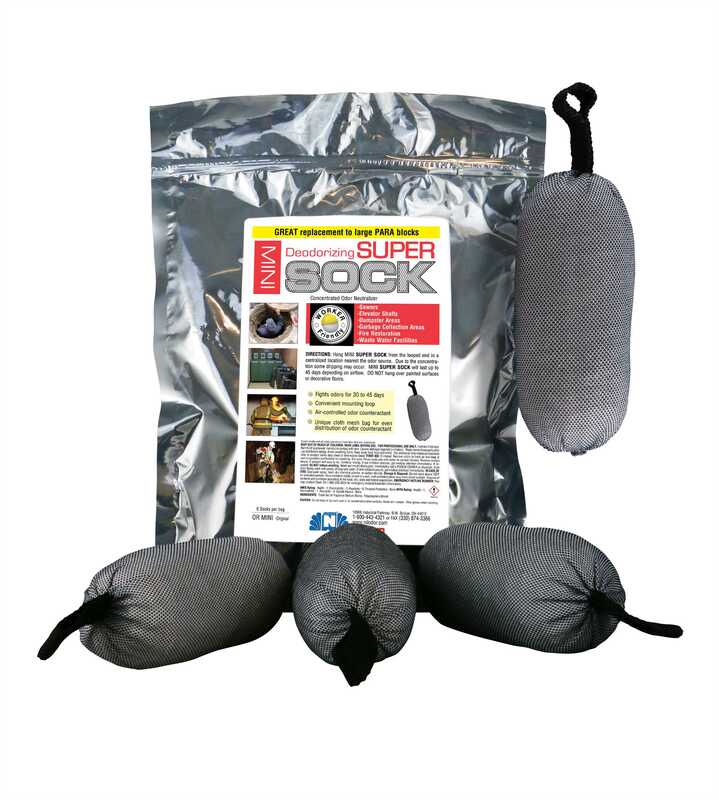 This industrial strength MINI SOCK deodorizer holds a powerful and effective concentrated odor neutralizer. Each MINI SOCK will provide deodorization for 30 to 45 days. It is specially designed to neutralize odors in sewers, elevator shafts, dumpster areas, garbage collection areas, industrial plants, water treatment facilities or anywhere that strong undesirable odors are present. Special Notes: MINI Socks are packed 6 Socks per bag and 4 bags per Case for a total of 24 MINI Socks. Each SOCK can deodorize 56 sq ft.